Levees.org will host a guided Levee Breach Bike Tour on Saturday April 20 starting at 10 a.m. Hear the story by New Orleans Podcasting. Susan Roesgen with WGNO TV reports on Levees.org’s newly opened Flooded House Museum in the Filmore Gardens neighborhood of New Orleans. 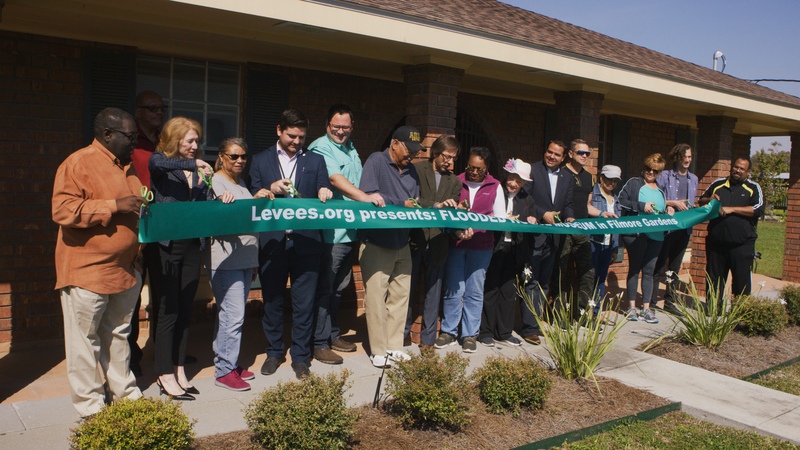 After three years of steady work, Levees.org held a ribbon cutting ceremony for the Flooded House Museum – an education memorial and monument to the devastating levee failures of August 2005. City Councilman for District D, Jared Brossett, residents of the Filmore Gardens neighborhood and members of Levees.org participated under a sunny sky on March 23, 2019.